School Groups Birthday Parties Welcome! We take school groups Monday through Friday (*Except Monday, Columbus Day). This year we offer several different school group packages. Each child will pick into their own bag which will hold 5 to 6 pounds of apples when filled. 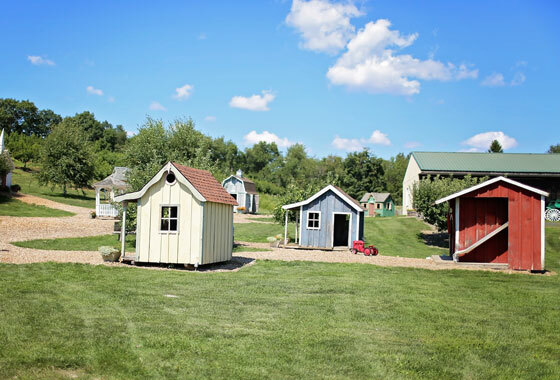 The package also includes a tractor-pulled wagon ride through the orchards, a visit to our “Apple Learning Center”, the child’s choice of a decorative gourd, play-time in our “Play Village”, a walk through the hay-bale maze and visits to our friendly animals. We request one chaperone for every three children. Chaperoning adults are welcome to pick fruits and vegetables at our posted prices. We do not charge chaperones who do not wish to pick. 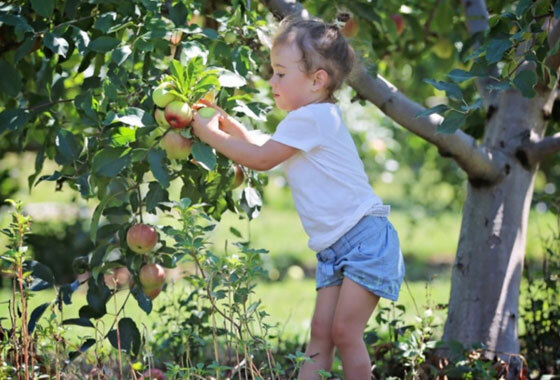 This package includes the same bag used in the child’s Apple Picking Package as well as a sugar pumpkin, a gourd and all the other aspects of the Apple Picking Package. This gives the child a quart container to pick into, which holds 1 1/2 to 2 lbs of strawberries. Included is the wagon ride, visits to the “Apple Learning Center”, “Little Play Village” and animals. Chaperone ratios and rules are the same as the other packages. Call to schedule your class trip, we look forward to your visit with us! Have your child’s birthday party at the farm! Birthday parties are held in the large barn next to the “Little Village” play ground area. The “Party Barn” has four picnic tables in it and plenty of room for all your guests. There are picnic tables in the “Little Village” as well. We schedule two parties per day, the first between 10:00am-12:30pm and the second 1:30pm-4:00pm. You may come a 1/2 hour early to set-up/prepare for your party. You are welcome to bring all your party needs, paper goods, food…If you would like to have pizza delivered to your party, we have a link to a good restaurant below that delivers many pizzas to the parties here. We can hold any foods you bring in our refrigerator or freezer and if you would like to order our home-made doughnuts or coffee just call a day ahead and we will be happy to have them ready for you. We look forward to making your child’s birthday one of their best childhood memories.